On my next small journey of interiors here, that I hope you like as much as I do, I look at this collection of stores and showrooms that are within a short walk of each other, making life so easy for a sojourn into town, where you can be inspired. Perhaps take a little time out to ponder what you have seen over a coffee or glass of fizz at Bluebird – it’s all at your not so weary feet!. This section of the Kings Road, parallel between Battersea Bridge and Albert Bridge still has a huge abundance of small independent shops, which is so rare to see these days on our high streets. So popping into some of my favourite interiors shops is even more exciting as I can also indulge in some fashion shopping in some of the coolest boutiques. This month I thought I would show you a very eclectic mix of interiors styles to choose from. Nina’s House is a true artisan (and award-winning) concept store, with designs from rustic to contemporary. Mostly wood and handcrafted, they offer a personalised, bespoke design service. The style is Nordic and Scandinavian, with an abundance of clean lines, but using quite exquisite timber with deep patina and colour. They have a very friendly shop, just brimming with ideas from lighting to stools. It has such a small storefront that you might miss it, so take note and list it, map it and log it when you plan your visit. They have everything from soaps and towels to sofas and fabrics. If you want to write a letter or find linen for your bed, it’s here. While perusing this three story store I discovered that there is a huge expansion program going on. They are expanding the store to merge both home interiors with their wallpaper and paint collections, to offer a one-stop-shop for customers; and it’s all happening this Spring. Therefore it must be worth a visit to the Designers Guild showroom just for that! Do fit them into your Kings Road shopping experience. Give them a call to keep up to date with this impending launch. 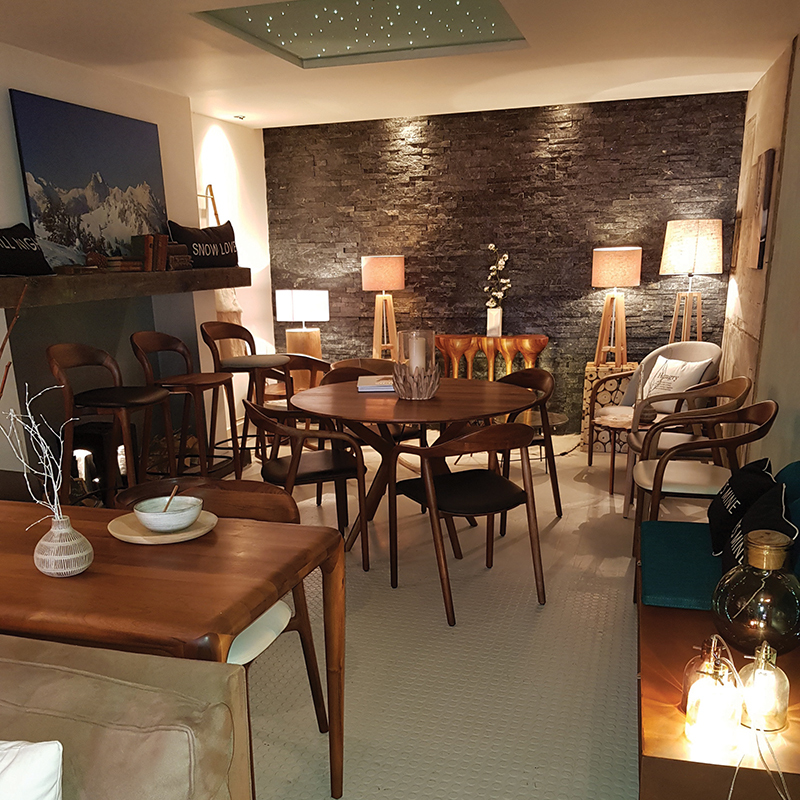 If you are a very modern minimalist and have a love of Italian style and design, then you are in luck; this huge showroom at Poliform is for you. The room displays are large, open and really show the individual pieces against a backdrop of wardrobes, cupboards and storage furniture. From their cool designs for living and sleeping you can kit out your loft apartment, or furnish your architecturally planned home and even tidy away your clothes behind seamless doors and drawers, plus maybe watch your TV from bright, high tech media units. One of my all-time favourite stores is right here – the William Yeoward showroom. This is just stunning! I think the images can speak for themselves here, but if you’re looking for beautiful vases made from glass or pottery, then look no further; plus their fabrics this season are bright, patterned, and very original, with blues that lift the spirits and work in any room, from a dark library to bright living rooms. Eclectic but also very, very stylish.